888poker review and the best bonus! 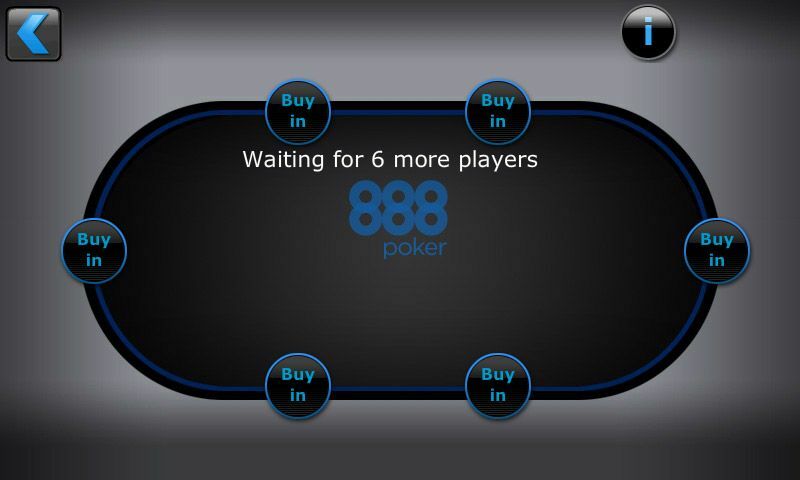 888poker is one of the premier online poker sites available today and it is backed by the London Stock Exchange listed company 888 Holdings. The site offers a large sign-up bonus, has award winning poker software, lots of cash game traffic, and millions of dollars in guaranteed tournaments every month. 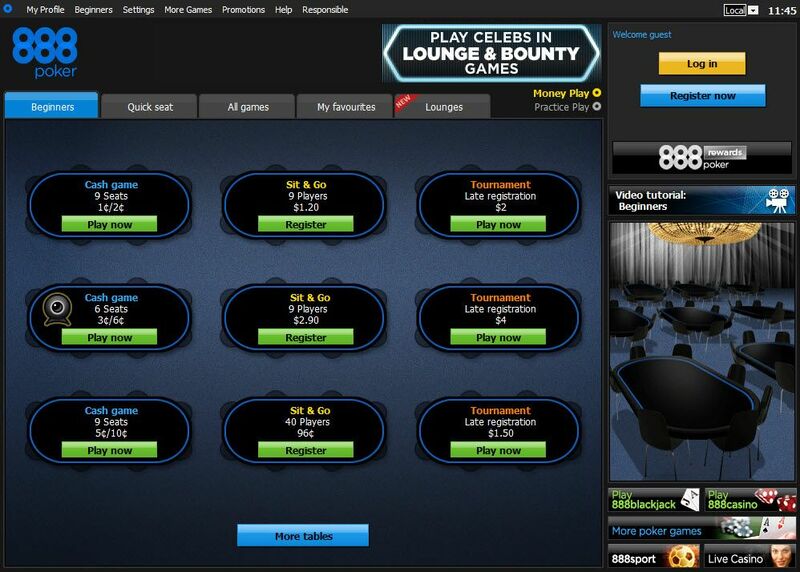 888poker is one of the major players in the online poker world and is a name that the industry trusts. Since its creation – under the name Pacific Poker – in 1997, 888poker has continued to grow its customer base and it can now boast to being the second largest online poker site in the world. 888poker's focus is on attracting and retaining recreational poker players, which leads to the cash games and tournaments being among the softest available anywhere in the online poker world. If you're looking for a poker site with plenty of ongoing promotions, fun tournaments and gimmicks, and soft opposition then 888poker is perfect for you. PokerNews readers can enjoy a free $88 when they create their 888poker account via our links – this is a free £20 in the United Kingdom – and you don’t even need to make a deposit in order to receive the free money! Thanks to our special relationship with 888poker, PokerNews can offer you more than double the deposit bonus advertised on the 888poker website. That's right — you will receive a 100% match up to $888 first deposit bonus, which is more than twice the size of 888poker's standard sign-up bonus, if you enter sign up code NEW888! Unlike deposit bonuses at other sites, this one is very easy to clear and can be done in small chunks as you will clear $10 into your bonus account for every 100 bonus points earned. Just make sure you enter the bonus code NEW888. 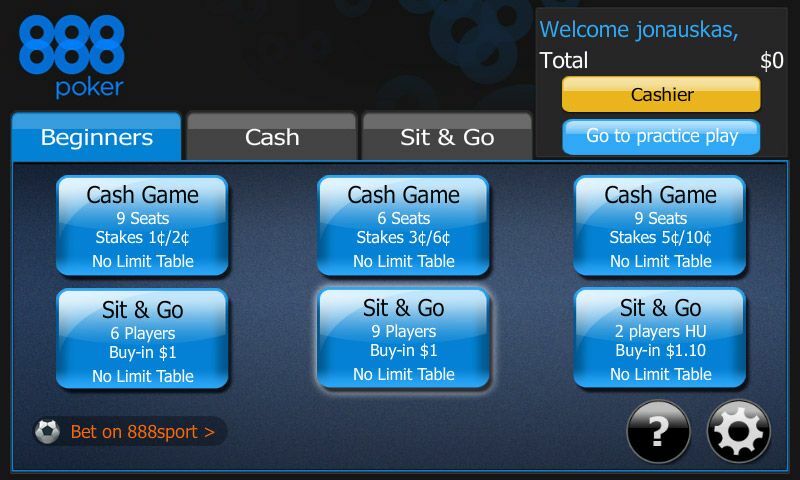 888poker operates a 500-level VIP scheme that everyone automatically joins. Each time you complete 888poker Club challenges you are awarded points, the more points you earn, the more Gold Tokens you are given. These Gold Tokens can then be redeemed in the 888poker Online Shop for some superb prizes. Please note, all Gold Tokens expire after 60 days of inactivity of your 888poker account so it pays to keep playing, especially if you have a bunch of Gold Tokens nestled in your account. Players are invited to play in up to $100,000 worth of freeroll tournaments every month, with guarantees ranging from $500 up to $10,000. The higher up the VIP scheme you are, the larger the freerolls you can play in are. It's a simple system: play more, be rewarded more. 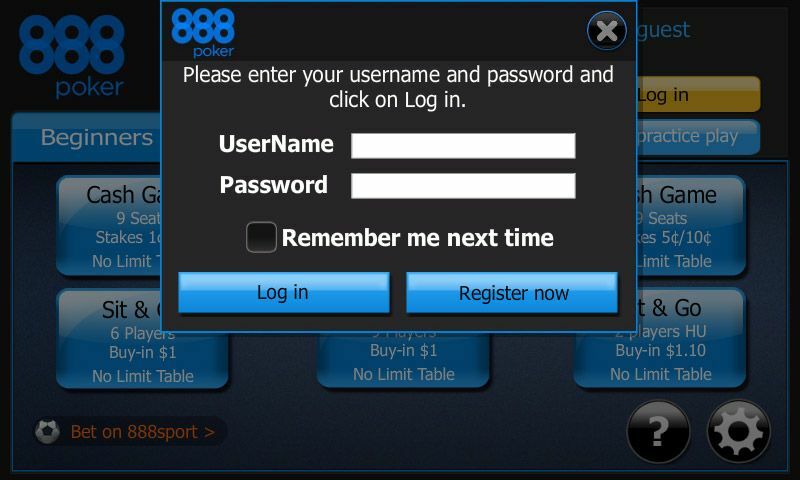 You can view your current status and any tickets or rewards you may have via the "888poker club" button under the cashier button when you log into your 888poker account. Cash games are one area where 888poker excels. Currently, you'll find no limit Hold'em games with blinds ranging from $0.01/$0.02 up to $25/$50 (up to $500/$1,000 is available at the Push or Fold tables), fixed limit Hold'em from $0.02/$0.04 to $500/100, pot limit and fixed Omaha and Omaha Hi/Lo from $0.01/$0.02 to $25/$50. 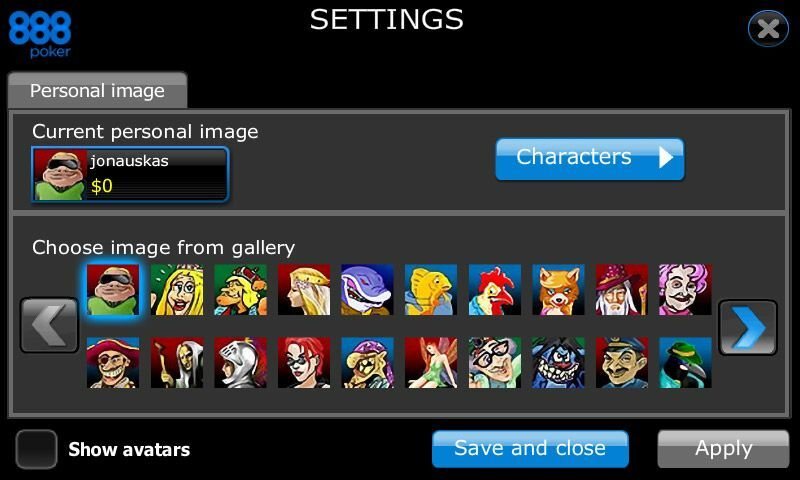 In addition to standard cash games, 888poker run tables where you need a webcam to play at them so you can see who you are playing against, which adds an element of fun and a new dynamic to the game. These exciting games can be found via the webcam logo next to the table's type in the easy to navigate lobby. 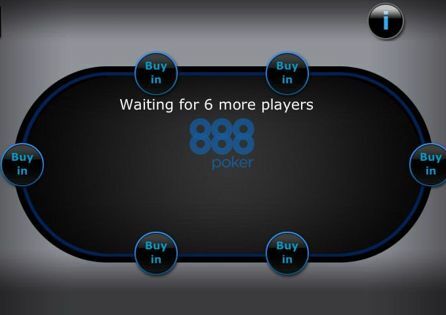 888poker also spreads "Push or Fold" tables where the maximum buy-in is only five-times the size of the big blind, leading to some intense poker action that is ideal to blow off some steam at. The final cash game variant on offer at 888poker is known as Snap Poker and is 888poker's take on "fast-fold" poker. On these tables, as soon as you fold, you're whisked away to a new table that has new opponents seated at it, and a new hand begins. If you don't like the hole cards you've been dealt, keep clicking fold until you do like them! Snap Poker allows for more than 200 hands dealt per hour and is great fund. Tournament players are well catered for and can enjoy Hold'em and Omaha tournaments with buy-ins starting as low as $0.01 and increasing to $1,500 or higher during online festivals. Whether you prefer to play bounty tournaments, rebuys, short-handed tournaments, or satellites, we can guarantee than 888poker has a tournament tailored for you. 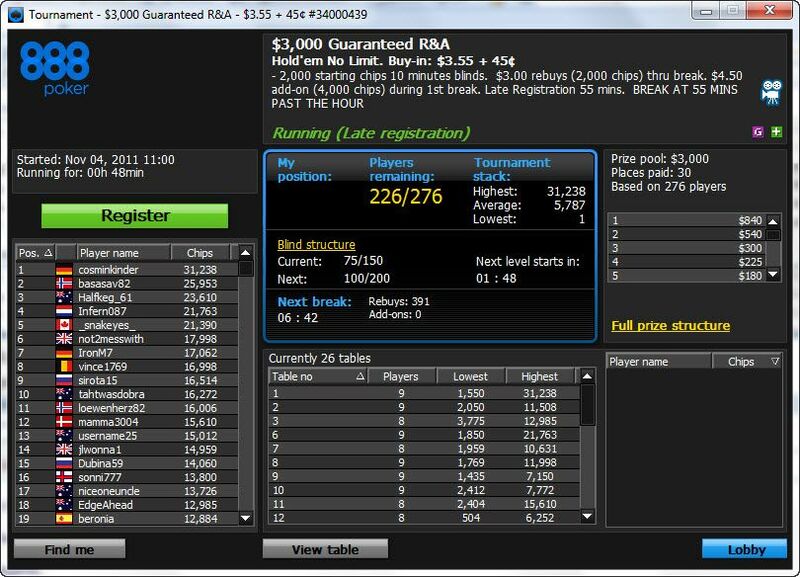 The $100,000 Mega Deep: This $215 buy-in event runs every Sunday. The $100,000 Whale: This $1,050 buy-in high roller runs every Sunday night. The $50,000 Sunday Challenge: Every Sunday $109 gets you a shot at a $50,000 prize pool. Second chance rebuys are available if you lose all your chips within the late registraion period. The Mega Dozen: Every Sunday at 7:00 pm GMT, a $12 buy-in event runs that has a huge $20,000 prize pool. The $50,000 Volcano: Play for a share of $50,000 guaranteed every Tuesday at 19:30 GMT. $600 is the buy-in. 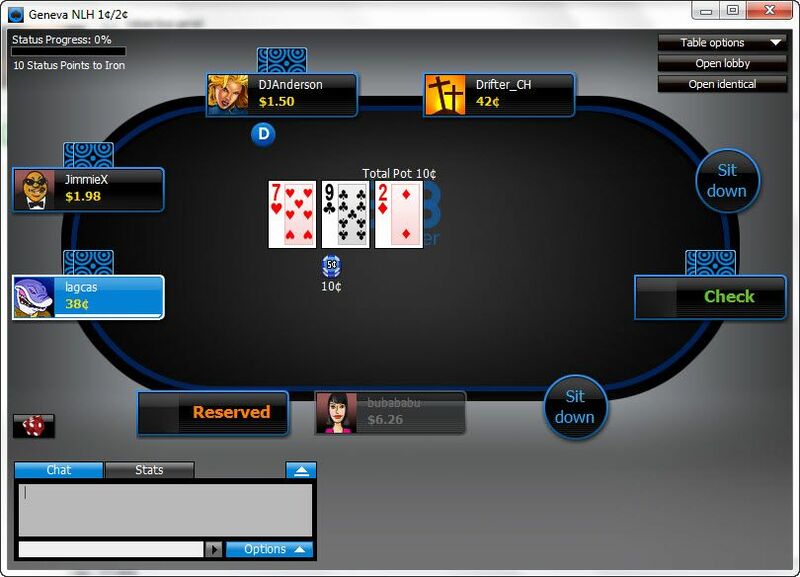 888poker also has its own live tournament series that you can only qualify for online at the site. 888Live travels to some great destinations including Vilamoura, Nova Gorica, Montreal, London, Dublin, and many more. 888poker provides an extensive FAQ database that if you cannot sort your problem, has a button that opens a secure contact form that is emailed to their excellent customer support team.